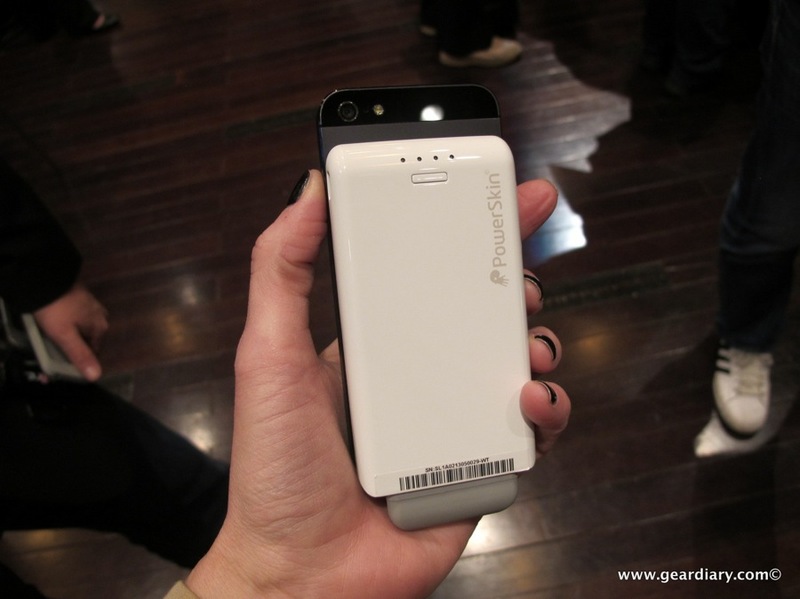 When I first saw the PowerSkin PoP’n Pop on Power Battery Charger (say that one five times fast!!) I didn’t think much of it. 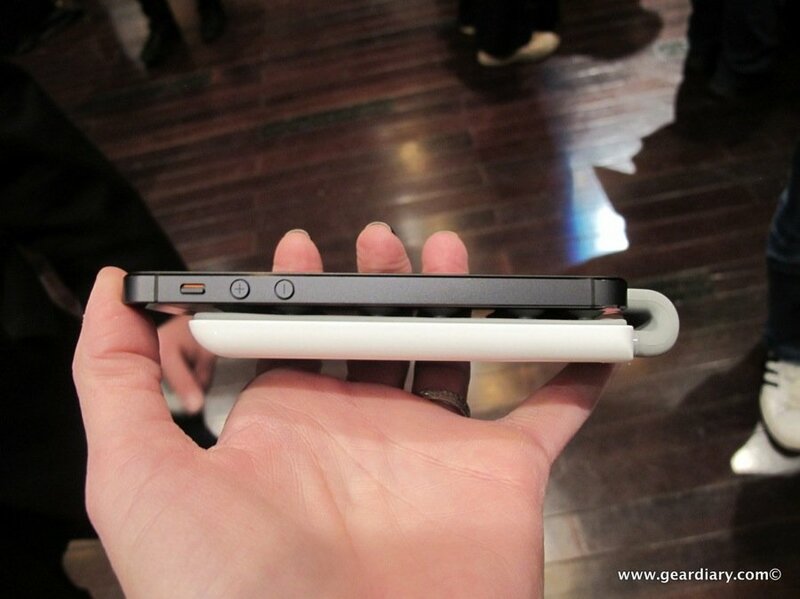 To me it looked like a clunky means of doubling your iPhone 5’s battery. Judie disagreed. Now that Judie saw and handled the PowerSkin PoP’n Pop on Power Battery Charger at MWC I have to admit she was right and I was wrong. Yes, the PowerSkin PoP’n Pop on Power Battery Charger is actually a rather ingenious way to quickly and easily double your smartphone’s battery charge. The PowerSkin PoP’n Pop on Power Battery Charger holds a 2000 mAhbattery inside a case that is just 10mm thick. 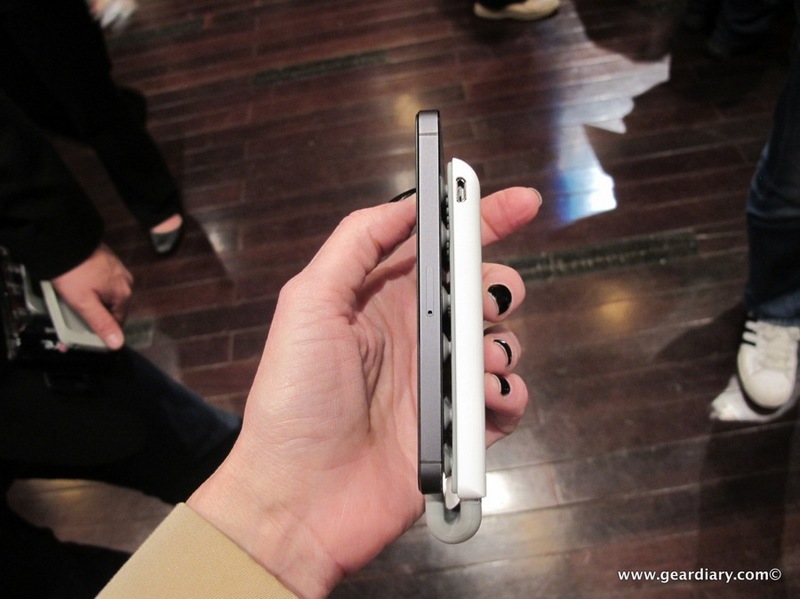 It weighs a scant 86 grams and is made from durable ABS and a hard-shell coating. 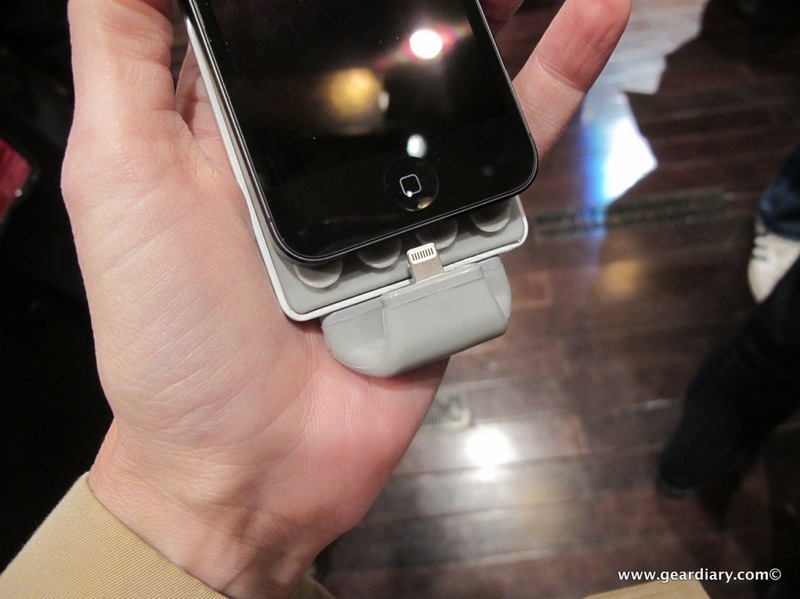 It connects to your iPhone 5 thanks to a series of suction cups on the flat face of the battery. They are strong and flexible enough to attach to most phones and cases. A Flex Tip Connector on the PowerSkin PoP’n Pop on Power Battery Charger bends up to 90 degrees. Connectors are available for devices using microUSB, Apple 30-pin or Lightning adapters. In other words, there are connectors available for almost any phone on the market. The PowerSkin PoP’n Pop on Power Battery Charger is available in Black and White with more colors on the way. Prices range from $69.99 for the microUSB (available now) or $79.99 for the Apple-friendly connectors (available in March).